"Instead of finding an item in-store and then purchasing it later, Pinterest users are discovering inspiration online and then tracking down items later, often in physical stores," says Head of Insights Naomi Grewal. Pinterest has a message for retailers still waiting on back-to-school shopping season: if you haven’t started planning, it’s almost too late. As Pinterest head of Insights Naomi Grewal notes, it’s the second biggest shopping season of the year: families spent $83.6 billion on back-to-school in 2017, including $29.5 billion on K-12 supplies and $54.1 billion on college goods. Plus, families with kids in elementary school spent an average of $687 each. The social media image sharing site has long been attractive to consumers for browsing, as Pinterest has touted the value of visual discovery to brick-and-mortar brands as reshaping the shopping experience. As such, we checked in with Grewal to see how Pinterest is reshaping the back-to-school shopping experience. GeoMarketing: Is Pinterest doing anything special to communicate to brands and consumers that it’s a good time to consider it for back-to-school shopping? Naomi Grewal: People come to Pinterest when they are actively considering what to do or buy next. Businesses can connect with people on Pinterest who are making a purchase decision but are still undecided on which brand they want it from. Increasingly year over year, we’ve seen families – from parents to college students – turn to Pinterest for back-to-school ideas. With 47 million people using Pinterest to find back-to-school ideas last year, and 90 percent of people on Pinterest saying that they get ideas on what products to buy from the platform, we recognize there is a clear desire among Pinners for relevant content in anticipation of the back to school season. By understanding our audience, we’re able to uncover and share valuable insights with our partners to inform how, and when, they can effectively reach families ready to shop for the new school year. What makes Pinterest a valuable tool for brands to target consumers (are there any targeting tools or specific features you can highlight?)? Pinterest is leading the industry in mapping visual technology with human-fueled curation via the 100 billion Pins on the platform. Thanks to machine learning and the proliferation of cameras in everyone’s pocket, we can create digital consumer shopping experiences that mirror what it’s like to shop in the physical world – using visual cues to steer to the right products. Pinterest offers different targeting tools that help brands effectively reach consumers across a wide range of verticals. We offer our partners several tools that enable more personalized shopping and discovery experiences, like the Audience Insights tool. Audience Insights help businesses gain a better understanding of what their audience cares about on Pinterest. Many world-class brands including Wayfair leverage Pinterest insights to inform their marketing strategies, ranging from media planning, to product development and in-store merchandising. The insights reflect the active consideration mindset of Pinners, incorporating actions like searches and saves. For the first time ever, partners can access these insights from Pinterest to shape their creative strategy and media campaigns. On Pinterest, we understand people’s evolving tastes, preferences and interests and are able to help brands reach people with the right idea at the right moments, even when they don’t know precisely what they’re looking for. Through our interest targeting powered by the Taste Graph, we allow advertisers to reach groups of Pinners using a more versatile, expanded set of interests based on precise tastes. Using these tools, we are able to surface different ideas for each Pinner, helping them discover new things as they move through the various stages of planning their lives. How do you view the challenge for retailers who are seeking to drive store visits — and how can Pinterest help? In this age of digital disruption, it’s increasingly important for retail brands driven by in-store sales to stay relevant and find new ways to connect with their customers. We often counsel our partners to consider opportunities across the entire path to purchase – not just the in-store sale. By leveraging Pinterest insights to understand consumer behaviors, and tapping tools like Pincodes, Lens and Shop the Look, we empower brands to create lasting relationships with consumers that ultimately drive visits in-store and online. In fact, 90 percent of weekly Pinners use Pinterest to make purchase decisions and we see a good number (41 percent) of people using Pinterest in-store to look back at their product wishlists. Instead of finding an item in-store and then purchasing it later, Pinterest users are discovering inspiration online and then tracking down items later, often in physical stores. 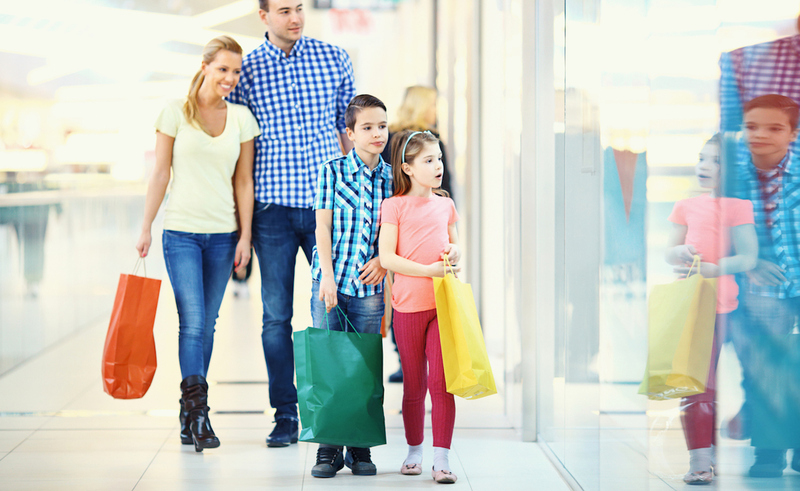 Do you have a sense of when is the most likely period for consumers to begin their back-to-school shopping in earnest? Pinners are early planners — back-to-school season on Pinterest starts as early as May, ramps up in July, and peaks in early August. In terms of primary back-to-school shoppers, who is the most likely target? College students? High school or junior high? Parents? Do you look at all these shoppers equally, or is Pinterest focused on these individual groups to a higher degree? With over 80 percent of US moms and over 40 percent of U.S. dads on Pinterest, there’s a huge opportunity for brands to reach parents during this season. But it’s not just parents looking for ideas. Pinterest reaches almost 50 percent of US college-aged students, making it a great place to reach students heading off to school. We always tell our retail partners that early matters – brands that reach people right as they’re starting to shop are more likely to impact their purchase decision and foster brand loyalty. IKEA has worked with us in the past around back-to-school and saw an increase in their click through rate by 72 percent.